0.80-carat diamond shown with Halo Twin Engagement Ring. 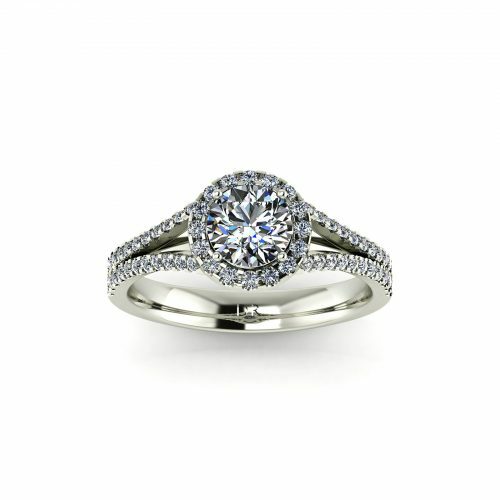 The Halo Twin Engagement Ring is a modern-day classic for engagement rings. As the name of the setting suggests, the brilliant round feature diamond is surrounded by a halo of smaller diamonds, also known as melee diamonds. This amplifies the feature diamond as it looks larger than the actual carat weight. Coupled with more melee diamonds set in the twin bands, the Halo Twin Engagement Ring radiates brilliance and fire from all angles. 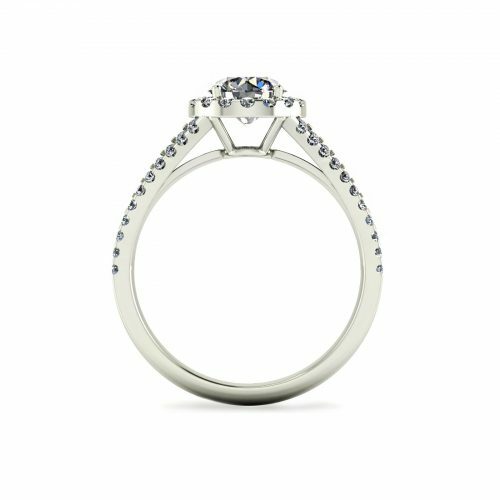 The Halo Twin engagement ring is suitable for feature diamond of 0.50-carat and above. The ring is available in both 18K gold and platinum. Unlike the prong setting, the halo setting has its ups and downs. The origin of the setting can be traced back to the Victorian era in the 1800s, where the halo setting was meant to resemble a flower. The Halo setting surged in popularity in the 1920s and dipped in the 1980s. 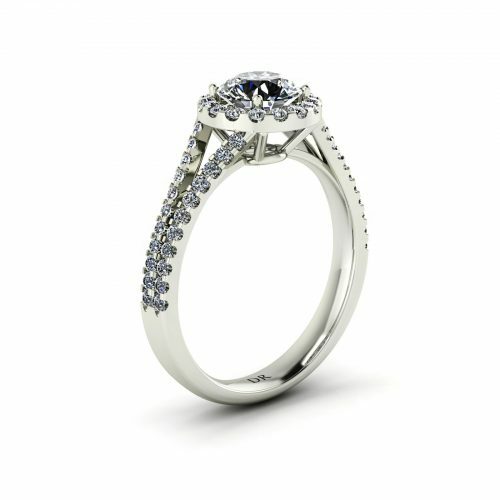 In the 21st century, the halo setting made a comeback with an evolved style. Combining vintage with chic, it became the modern-day classic for engagement rings.